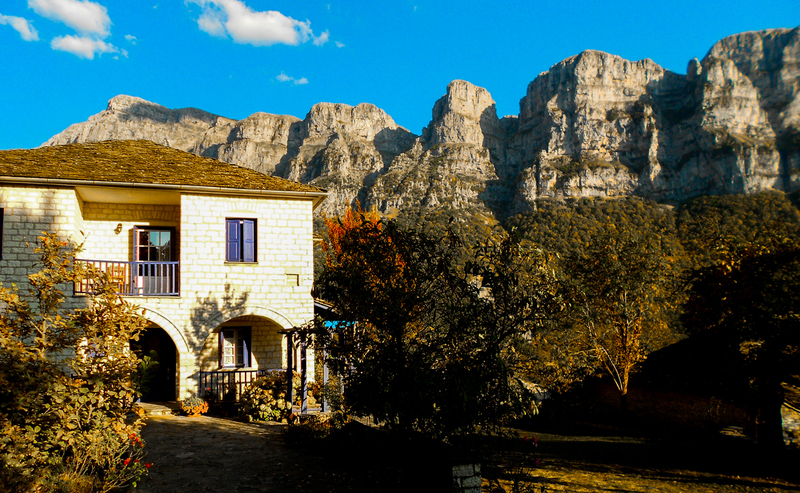 “Rodi” is a stone built guesthouse in “Papigo” village and was established in 1994. 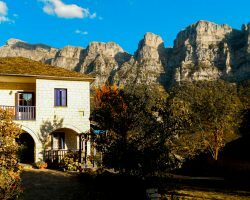 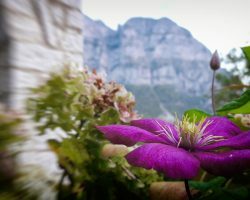 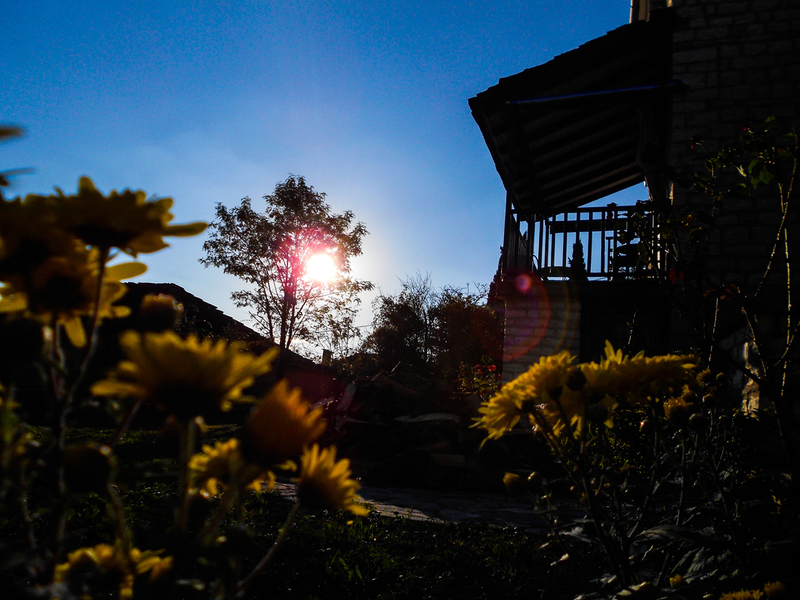 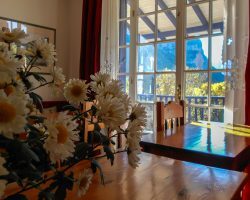 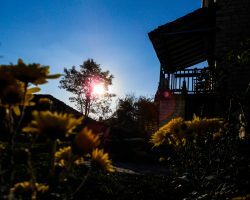 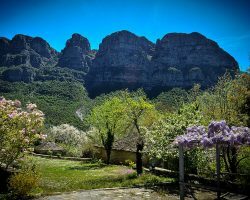 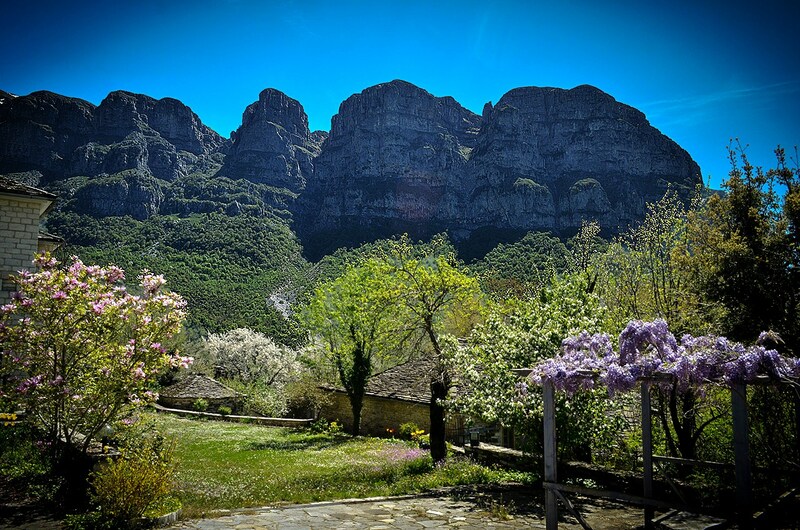 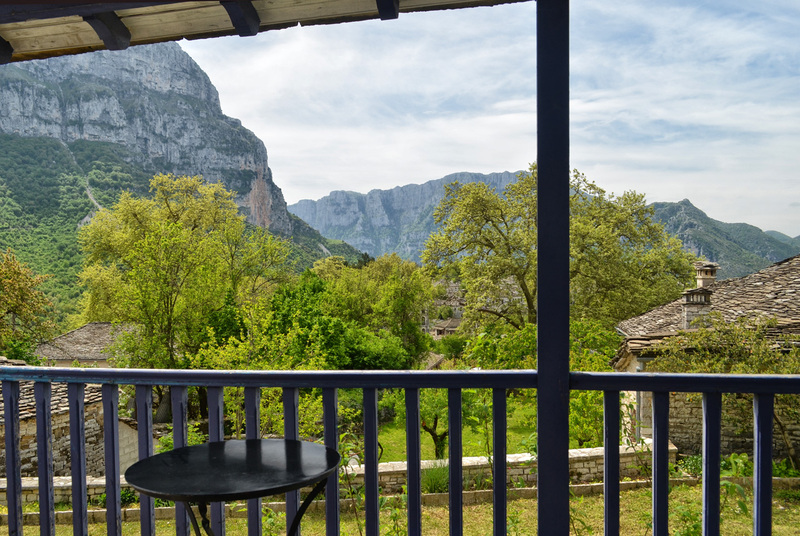 It is located in a place that has an amazing view towards the refuge of lake “Drakolimni”, the famous and impressive towers of mountain “Astraka”, “Mikro Papigo” village, “Vikos” gorge and “Aristi” village. 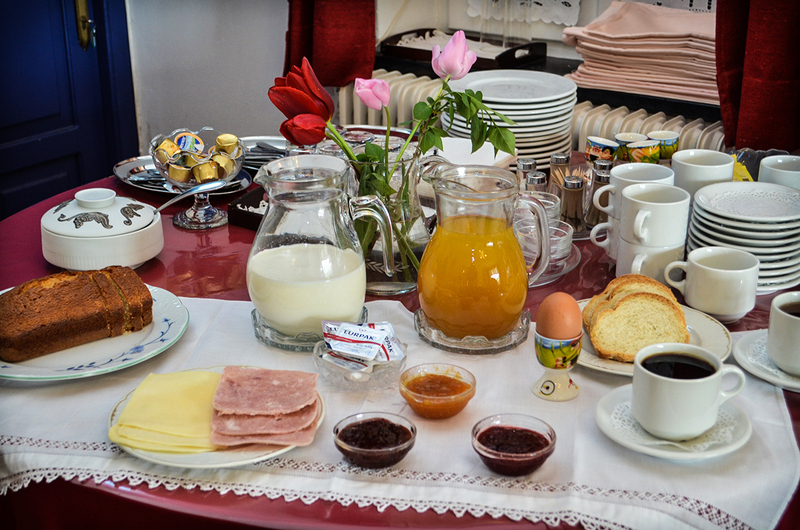 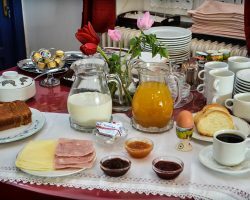 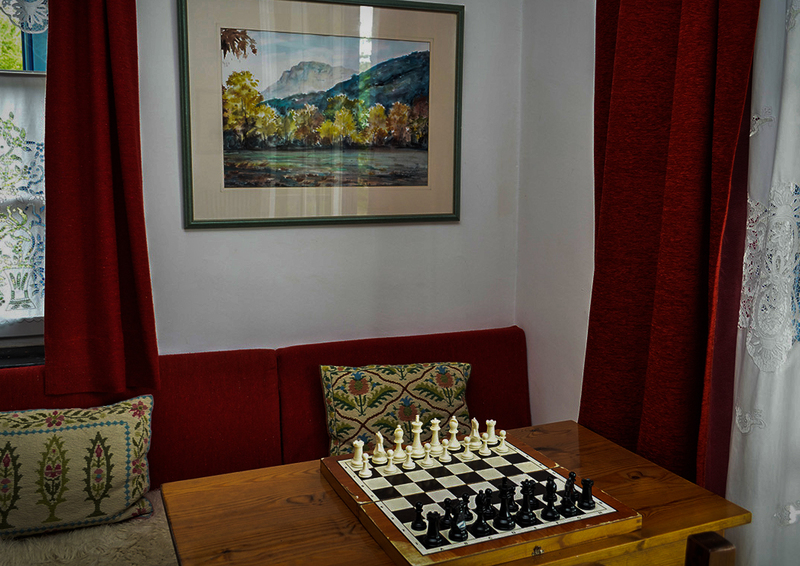 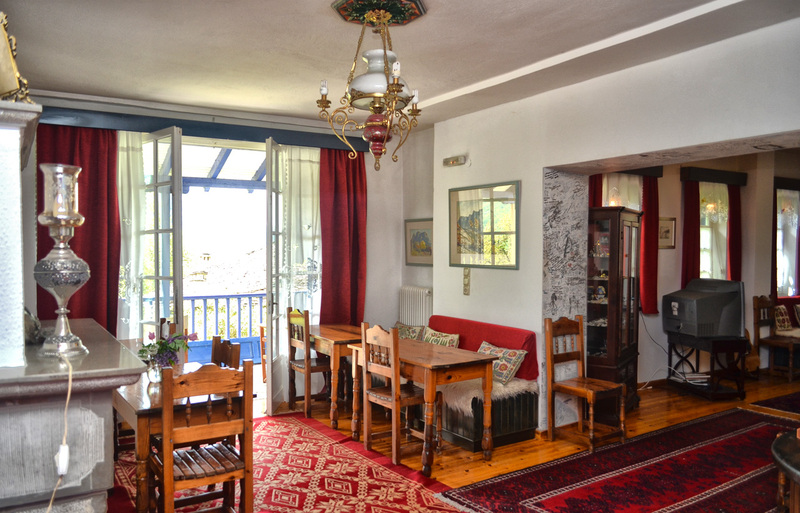 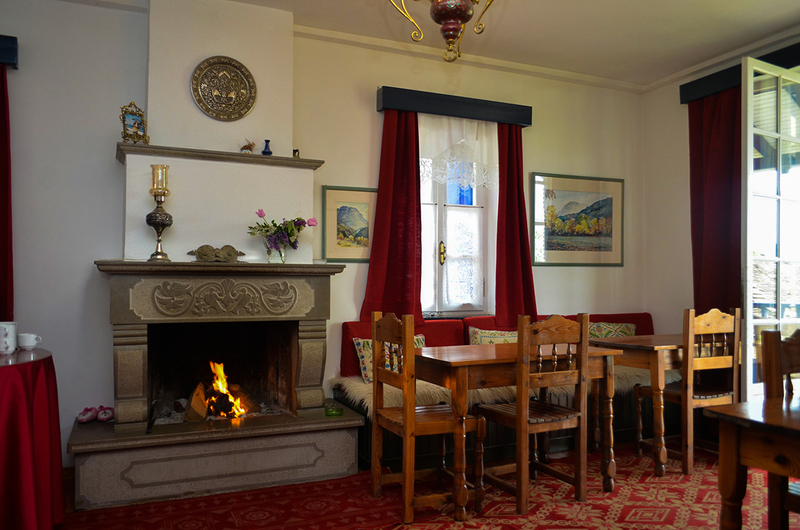 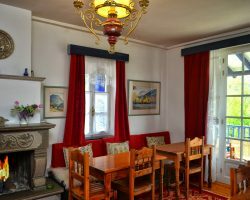 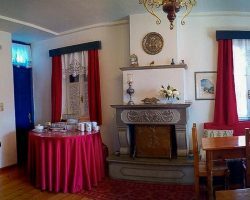 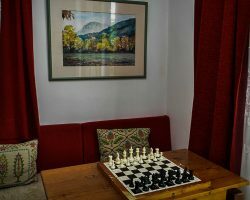 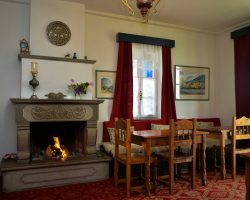 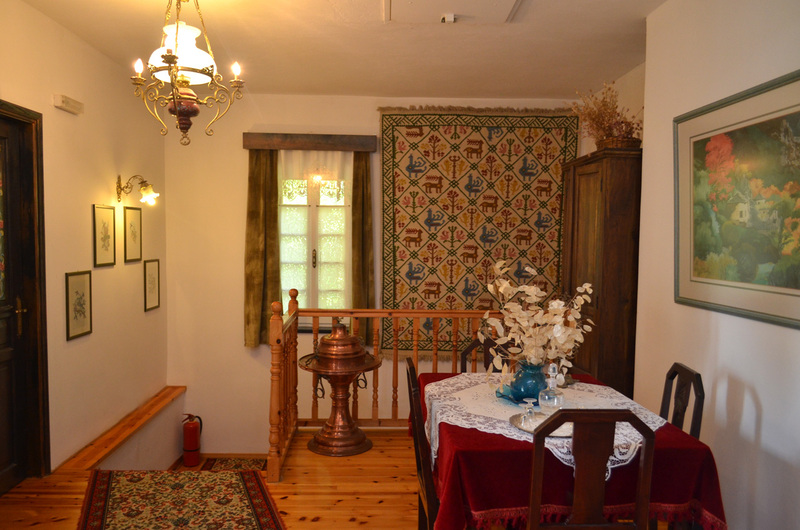 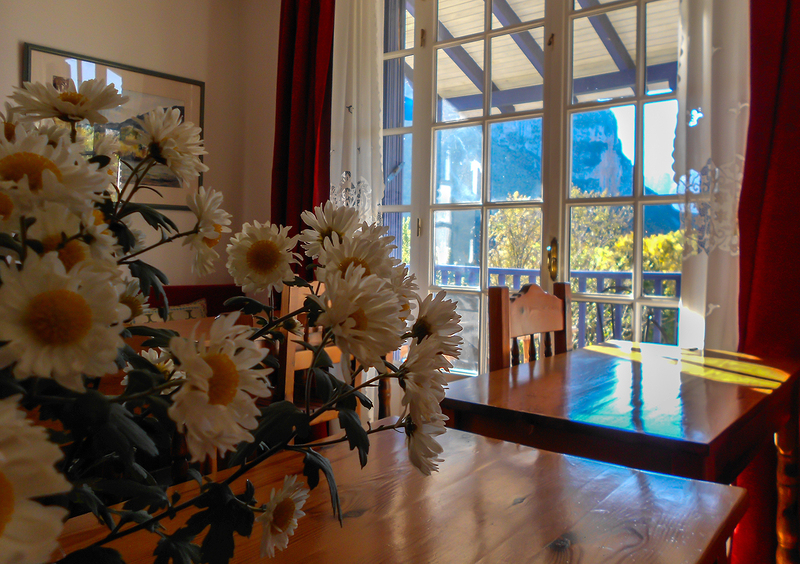 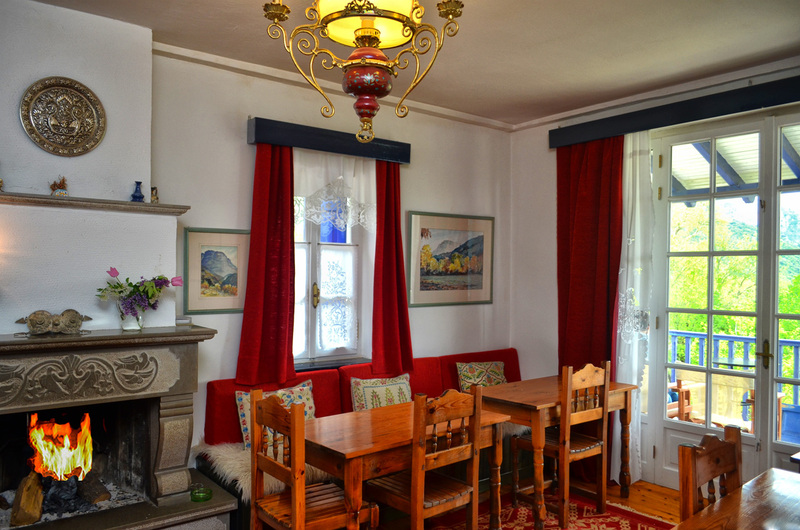 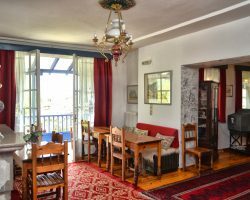 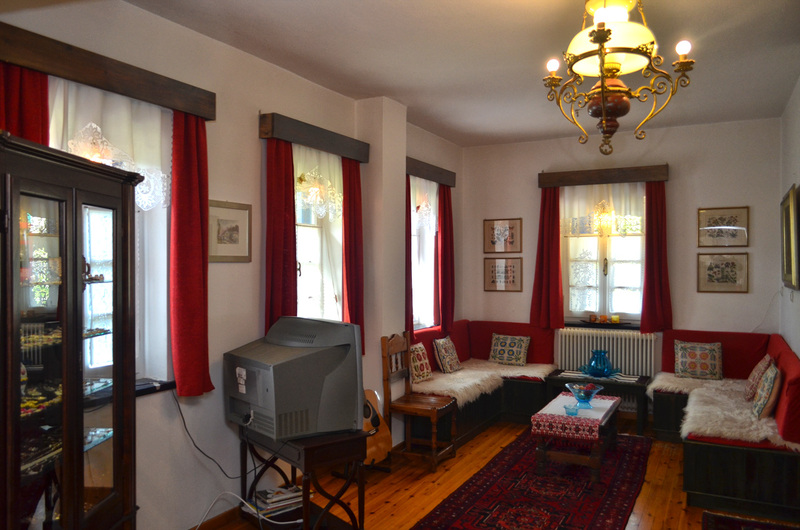 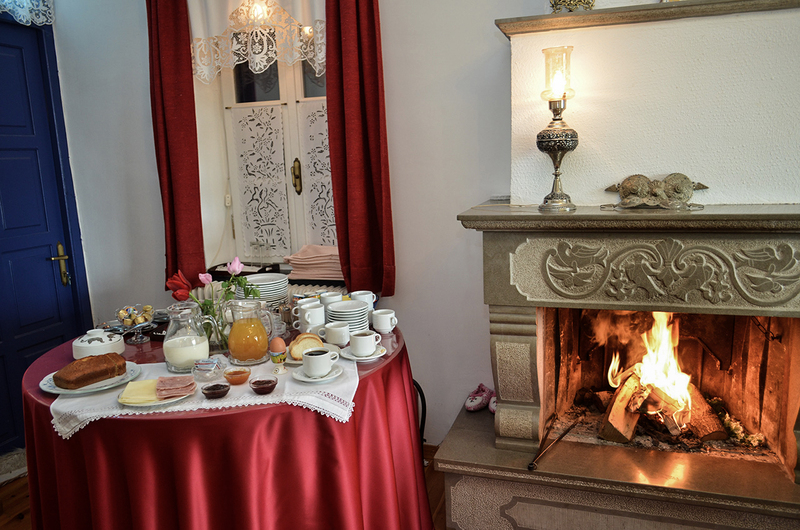 Guesthouse “Rodi” is 40 m away from the village centre, and provides free on-site parking. 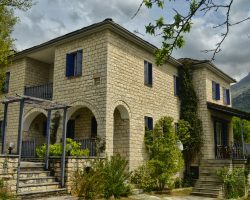 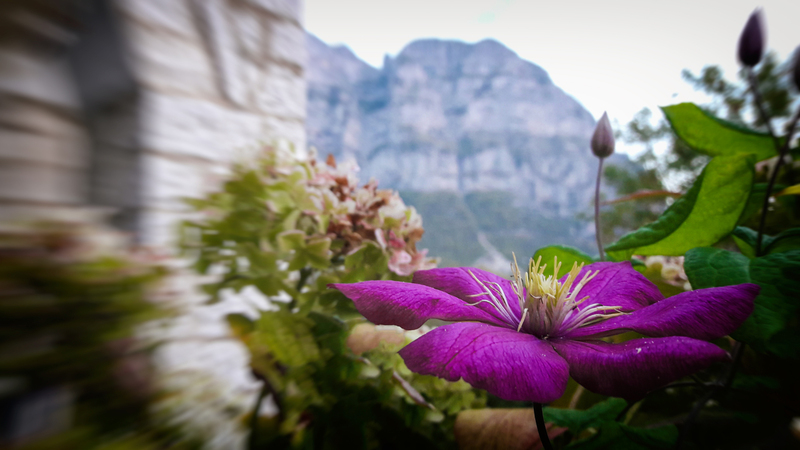 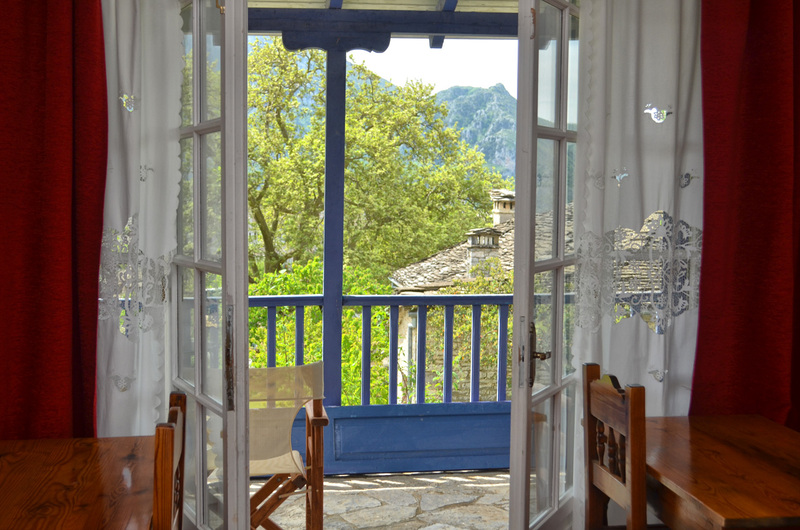 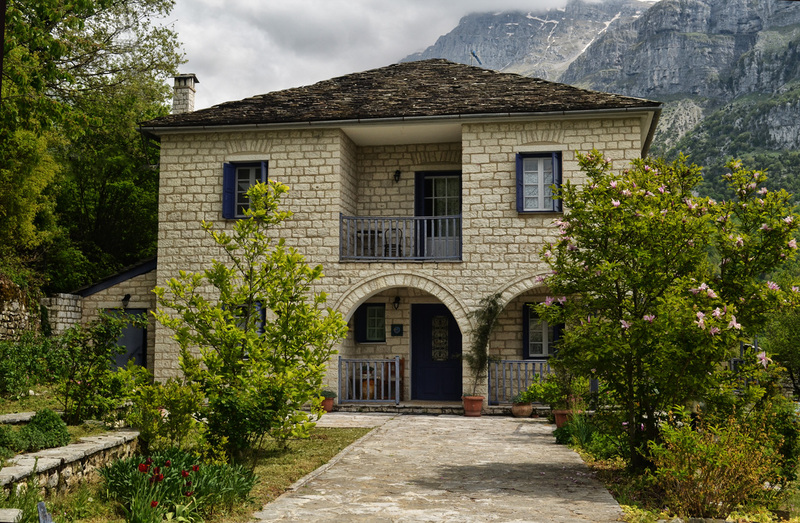 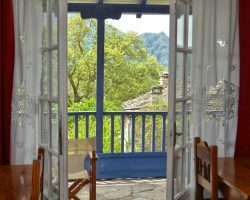 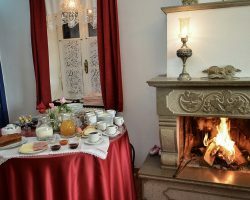 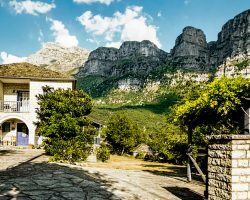 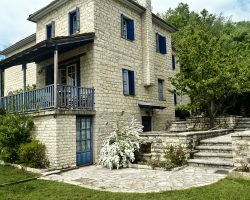 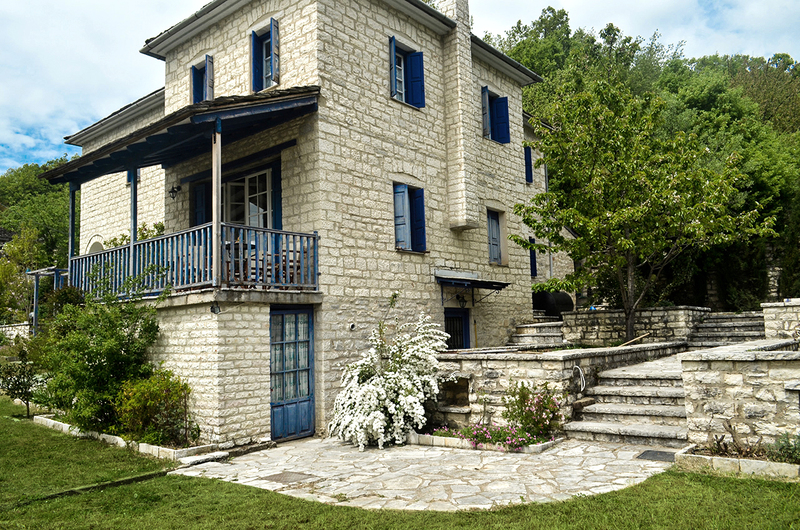 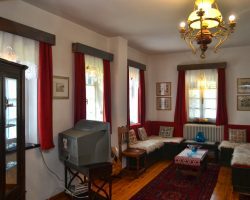 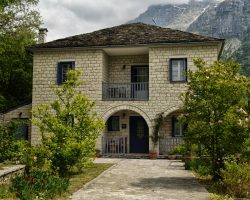 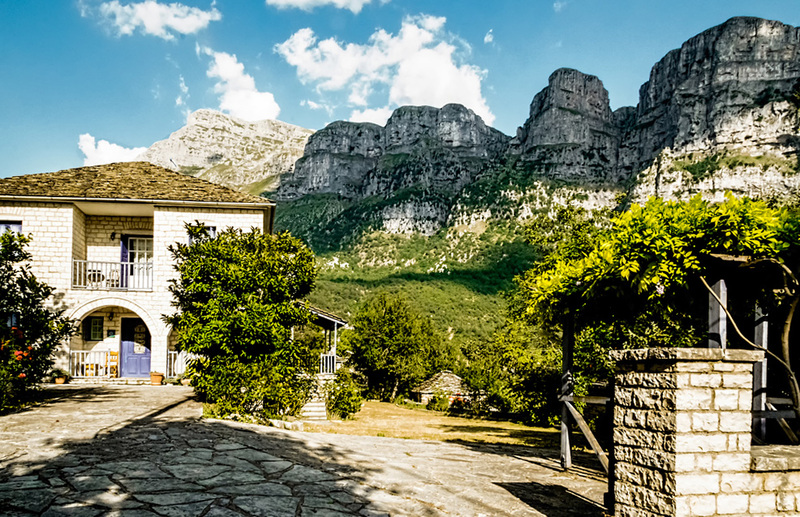 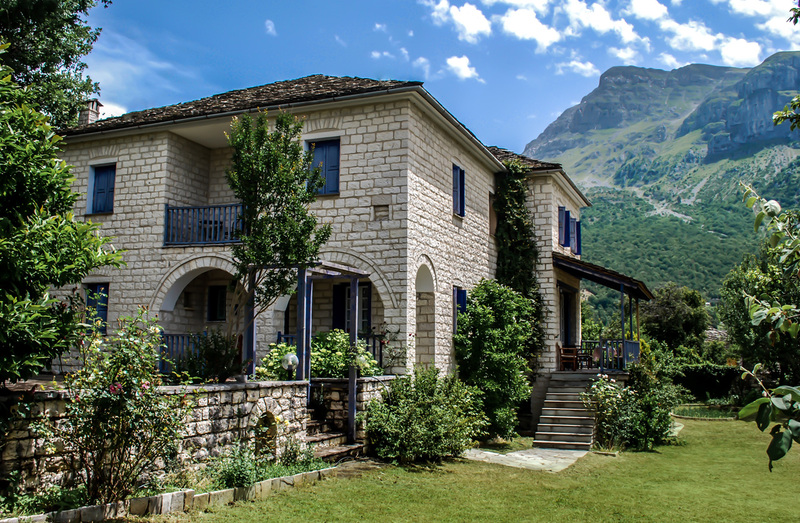 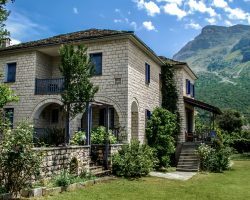 It is built with respect to the traditional architecture of “Zagori” buildings with stone, black plate for the roof and a large paved courtyard. 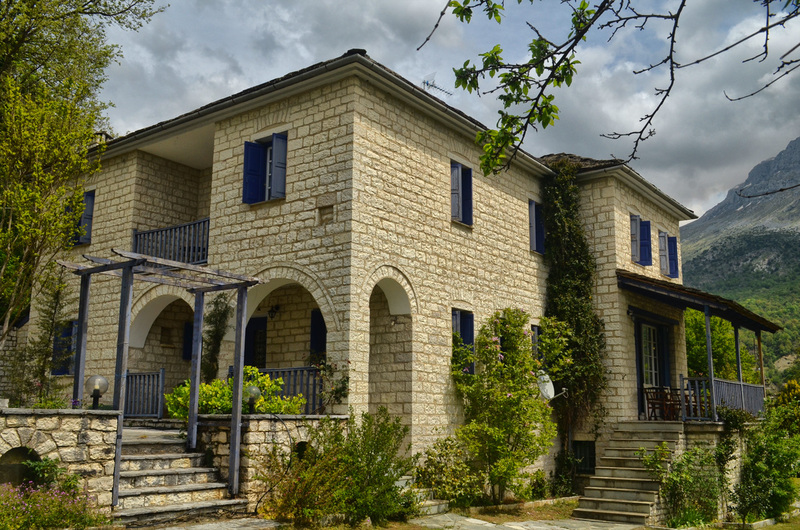 The exterior appearance of the building and the interior emit warmth and familiarity. 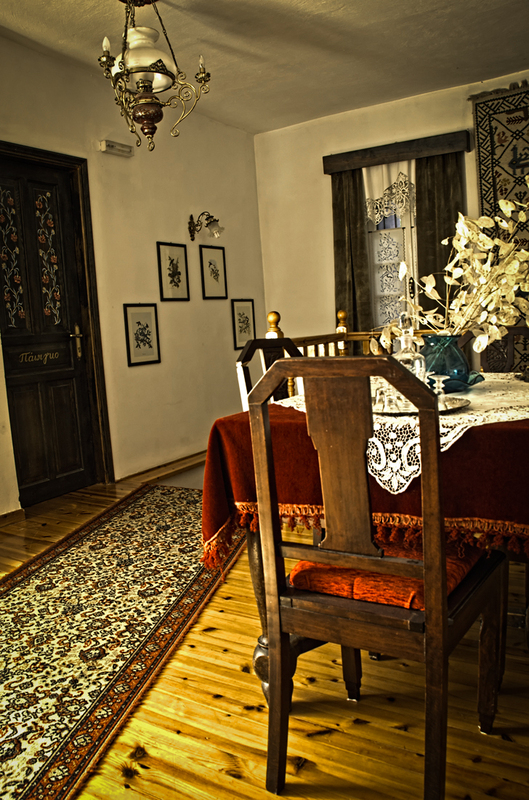 Its owners decorated it with care and great affection. 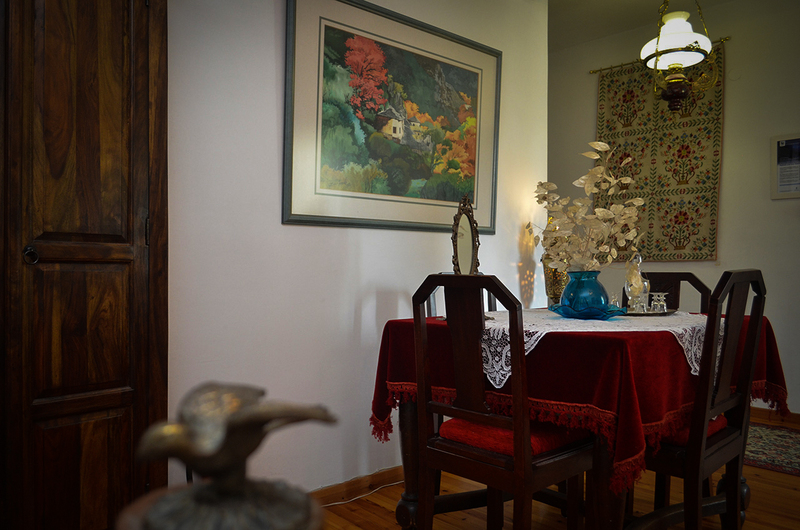 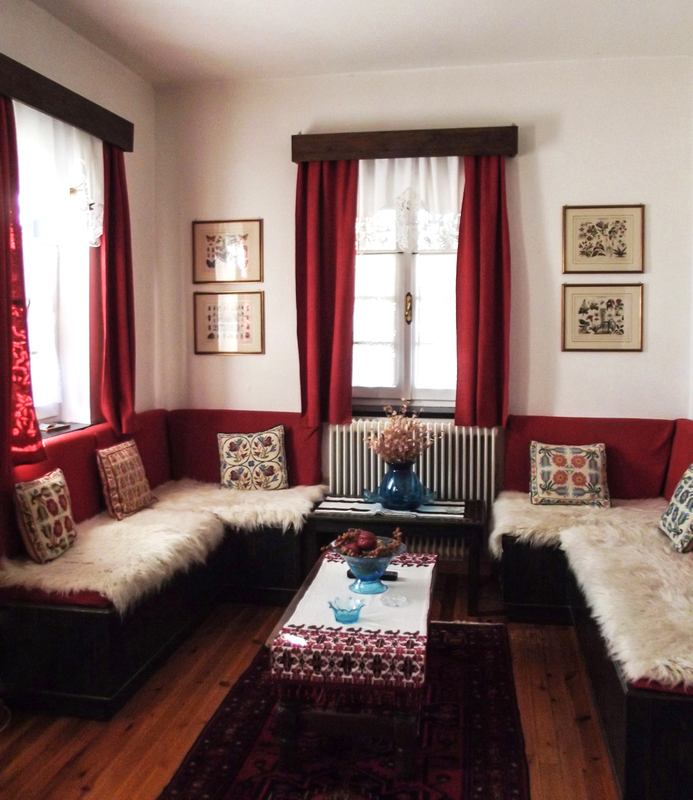 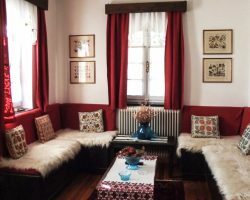 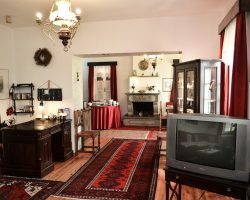 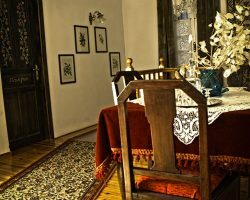 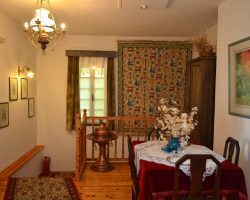 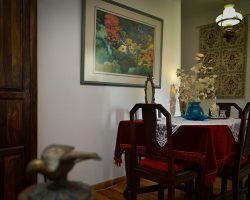 The interior decoration includes handmade floor carpets, white curtains in the windows, painted doors of “Chionaditian” art and silver lamps designed in the jewelry store of the family owners in Ioannina. 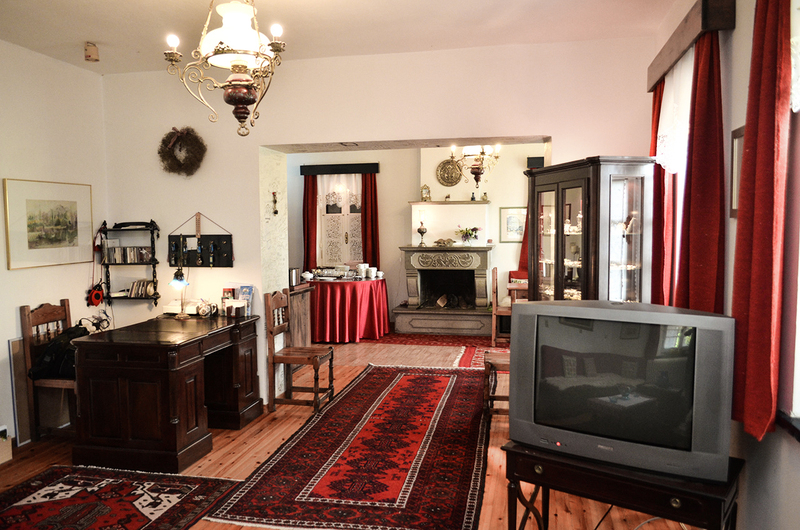 Traditional and modern silver jewels are available for sale inside the guesthouse.